Its Valentines Day just around the corner. 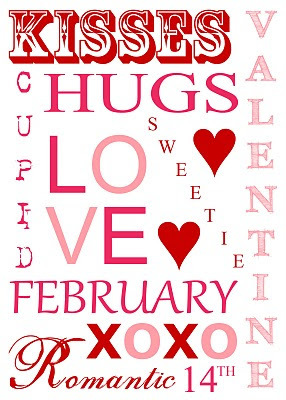 I usually do not like Valentines day as many of you may know, but I have to say I may be just a little excited for this holiday this year. 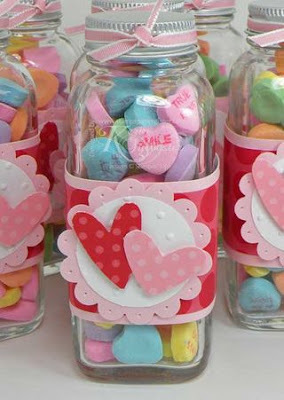 All of my kiddos have class parties coming up so I have been on the hunt for some fun Valentines gifts and party ideas. Below are some of the best ideas that I found. Over at Kerin Stamps she has a super cute idea that could be used for a teachers gift or even a cute party favor for a class party. You could easily make these oh so cute hearts or you can head over to Kerin's Stamps and she what she offers. I LOVE this next idea. I am also a big fan of banners of all types and this one is super cute. You could use something like this for a girly birthday party, a wedding, photography prop or in a little girls room. I am in the process of making something like this for photography props and I will have a tutorial later, but head over to Simple As That Blog and she has a really good tutorial and ideas on other themed banners just like this one. Oh how I do not love Candy Hearts so what better way to use them for decoration. If your house is anything like my house we get A LOT of these little heart candies and they simply just go to waste. Check this out and now you can put them to use. My favorite one is the heart in the frame. Super cute. For the frame you simple need these things. Check it out over at The M C Borgia Bungalow. If you are like me (and I am sure you are) I LOVE free printables. Its hard out there in the big web to figure out which ones are truly free and which ones are not, but I found one that is just that.. free!! Head over to Bella Storia and check out her site as well. She has some awesome ideas on design and home accessories. This next idea would be a really cute craft to do for a school party. I think the secret message part is very cute. All you need to do with this is cute out some cute hearts and then write your secret message on the heart with a white crayon. 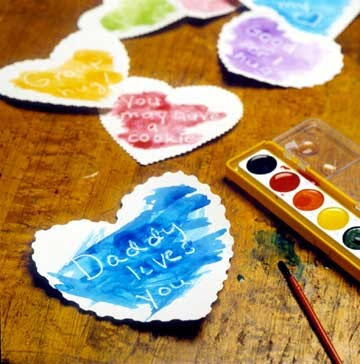 Then reveal the message with some water color paints. Its that easy!! I hope you all enjoyed these favorites I found. 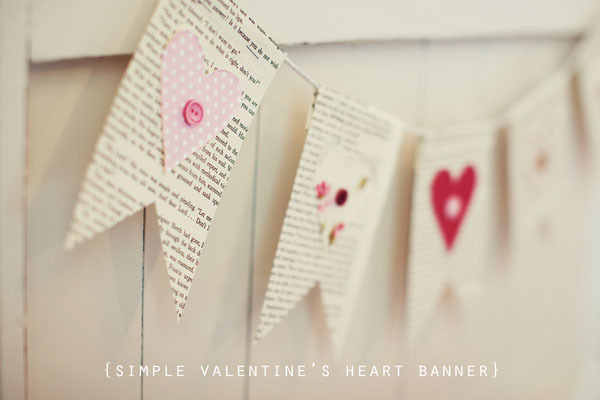 Keep your eyes posted soon for a tutorial on how to make a Valentines banner. Thanks so much for linking up at my party last week!